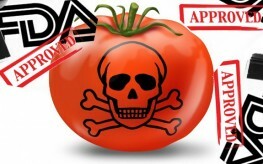 Some cynically refer to the FDA as the Fraud and Death Administration. Harsh, but many see that name as a bit more than an accurate description. It is certainly the hub of the Medical Mafia wheel. A few years ago, during the height of the occupy wall street mania, some were calling for occupy the FDA. Unfortunately, that didn’t get far at all. Some have even referred to the FDA’s activity as equivalent to dropping an atom bomb on each USA city each year. Why? Primarily due to the amount of deaths and illness it has sanctioned with its sanctioning of dangerous pharmaceutical drugs and toxic food additives while banning safe and effective natural remedies and enforcing bans on healthy foods such as raw milk. (1.) In the early 1900s, Dr. Harvey Wiley opposed the process of chemically bleaching flour to use as white flour for breads and pastries. As the head of the Bureau of Chemistry, the precursor to today’s FDA, he created a guideline for enforcing a ban on bleaching wheat chemically to produce white flour. He quit his position after he had become frustrated from the lack of enforcement for his ban. It just never happened. And the legacy of unhealthy bleached flour white bread prevailed through the 1970s. (2.) A few decades ago, natural remedy cancer healer Harry Hoxsey won a libel suit against the AMA and Hearst Publications. The Supreme Court upheld that decision in the mid 1950s, but somehow the signal went out for the FDA to unleash their attack dogs. After confiscating herbal remedies from patients in their homes, the FDA closed and padlocked all 17 Hoxsey clinics in 1960. That was one dramatic episode among many where the FDA was instrumental in protecting the pharmaceutical industry from the threat of safer, more effective, and less expensive natural remedies that can’t be patented for huge profits. 3. Throughout the 1970s, Searle’s bid for approving aspartame had been denied by FDA scientists. The Searle chairman at the time, Donald Rumsfeld, managed to use his transitional government position in 1980 to place a crony in charge of the FDA. 4. Rumsfeld’s man pushed it through while hiding the results of six monkeys tested on aspartame before 1970. One died and five had grand mal seizures. Now millions have been adversely affected by aspartame. 5. What’s more, the FDA has done nothing to even warn Americans of monosodium glutamate (MSG). They classified MSG “generally recognized as safe” (GRAS) in 1959. Millions more have suffered from this food additive’s neurological toxicity. 6. During the 1990s, Michael Taylor came through the “revolving doors” from the Monsanto corporation into a key FDA position. From there Monsanto Mike had several states prosecute dairy farmers who labeled their products without rBGH, Monsanto’s GMO hormone to force more milk production while infecting them. 7. In 2006, the FDA attempted to completely protect Big Pharma from liability suits. They wrote a “Final Rule” as law, bypassing congress to protect Big Pharma from those who were poisoned by their FDA approved drugs. Margaret Hamburg is the current FDA commissioner. Both her elite psychiatrist parents have headed the American Eugenics Society. And now Monsanto Mike Taylor is ensconced in the Obama administration as the “Food Safety Czar”. Here’s a quote from Hamburg: “A strong FDA is an agency that the American public can count on.” One of her strategies for a strong FDA is to make it less “domestically focused for harmonizing with with other international regulatory agencies”. Can you say Codex Alimentarius? The big food industry did not want to lose money on Dr. Harvey Wiley’s strict standards, so they complained to then President Teddy Roosevelt who fired Dr. Wiley. A real shame because the good doctor wanted America to have the highest food standards in the world. The rest is history. And the the FDA were not around, how would you stop these big, bad companies? This article makes no sense. You people gotta get real,monsanto is big money for the politicians because they give large sums of money to election campaigns. What you normal people gotta do is form a group,club,whatever and make your campaign contributions as a combined effort,advertising honesty in the contribution collection. An anti GMO platform should attract a lot of contributions especially if all contributions can be accounted for so there is no chance of corruption,accepting all contributions,large or small,from democripts or rebloodlicans or anyone else regardless of political affiliation so as to focus on the ANTI-GMO platform. The FDA is a tentacle of the World HELLth Organization, and, through the Satanic U.N., will gradually implement CODEX ALIMENTARIUS here. You will have zero control over your own health and well being. The FDA’s RDA of vitamins is a joke – all to keep you weak. And, their Big Pharma buddies continue their attack on supplements. The FDA allows for the tampering and creation of deadly viruses and then has the gall to spread fear and disinfo. to get folks vaccinated with unproven and unsafe vaccines. Yet, the masses continue to believe this rat-infested organization is looking out for them. Had this been better organized, I would have posted the link to Facebook. It’s all true… just not well-presented for skeptics. The FDA costs our country millions while inhibiting those who benefit the people (swat teams attacking raw milk producers and organic farms) backing unhealthy food like substances (GMOs) allowing chemical corporations the “legal” right to monitor their products all the while discrediting honest science.